I first became acquainted with The Depanneur (or ‘The Dep’ as it has become to be known) this past winter when my husband and I signed up to become a member of The Rusholme Park Supper Club (Family Style dinner parties hosted by a rotating cast of chefs) and joined them for an evening with the Pork Ninja’s. It was an intimate gathering of food lover’s; amazing food was consumed and the Pork Ninja’s have since become Thursday night regulars. If you have never tasted their delicious competition grade BBQ pulled pork you have no idea what you are missing. But Pork Ninja’s aside, if you have never been to The Depanneur you really need to change that. They have been awarded with the 2012 Award for ‘Spicy New Venture’ by Food Forward and have really created something new and exciting for our fair city. You can drop in for dinner and try food from all over the world, prepared by some of the city’s best kept secrets. They serve it up from 6pm until the food sells out. Plus they have commercial kitchen space that they rent out to food entrepreneurs such as myself. Overall just an amazing concept and the food served never fails to delight. It is for this and many more reasons, that I am so excited to blog about the fact that Manning Canning is partnering with The Dep to offer its customers a series of preserving classing in September and October. If you have ever wanted to learn how to preserve the freshness of all of those amazing summer fruits and vegetables so that you can enjoy summer even in winter, well now is your chance! Over a series of 4 classes, I will walk participants through safe canning practices and basics of making jam and pickles and preserving fruit. All students will take home one jar of the product made in class that day, along with a print out of the recipe and be armed with the knowledge required to can safely at home. The classes run from 6:30pm-9:30pm on the dates outlined below and take place at The Dep, which is located at 1033a College Street. To register for the classes, just click right here. Workshops are $40+HST each and includes a jar of whatever is made. 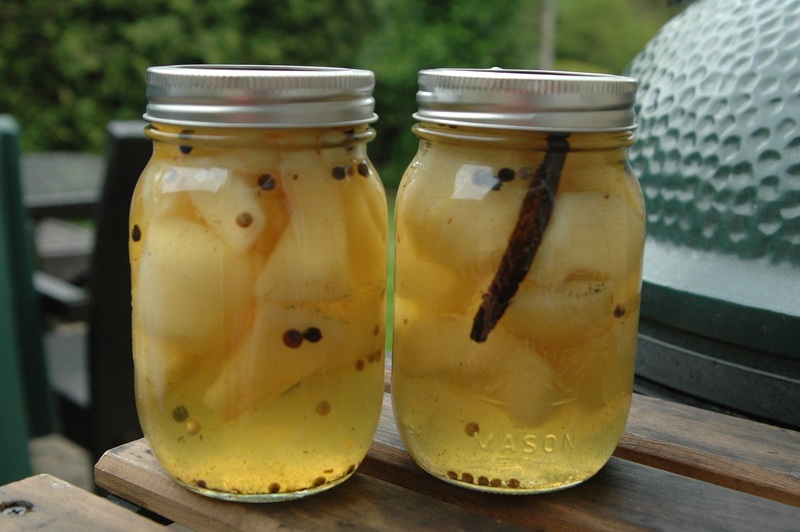 Attend all 4 Preserving Workshops and save $20! I look forward to passing on my love of preserving with everyone in the class and hope to see you soon!